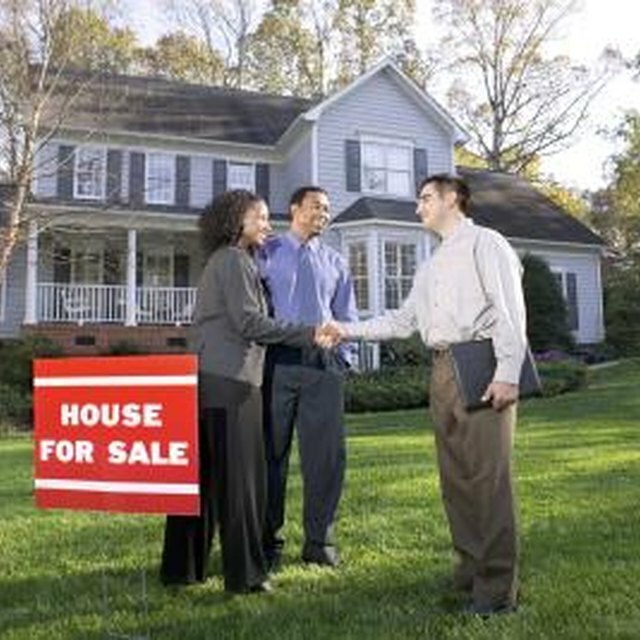 Real estate agents sell homes based on commission -- generally about 5 or 6 percent of the sales price. Agents who are members of the National Association of Realtors are called realtors, but other than the trade association membership there is no difference between a realtor and a real estate agent. A contract with a realtor is a voluntary agreement. Sales commissions of 6 percent are common, but you can negotiate a lower commission when selling your house. Interview several agents and ask each of them if they’re willing to accept a commission of less than 6 percent. Shaving just 2 percent off the standard 6 percent sales commission will save $6,000 in commission fees on a home selling for $300,000. Leverage for a lower commission is even greater on luxury homes costing around $1 million. Realtors are so eager for luxury home listings that some will accept as little as 3 percent in sales commission, according to MSN Money. The agents realize that even with the smaller commission they may earn more on a luxury home than on lower-priced homes. A realtor does not keep the entire commission. The buyer’s agent usually receives half. That means on a 6 percent commission, both agents receive 3 percent, and they will share some of that money with their respective real estate brokers. Only the top 10 percent of real estate agents earn more than $100,000 in a year, according to the U.S. Bureau of Labor Statistics. The median annual wage for a real estate agent in 2008 was $40,150. Median wages for the top 10 percent were $101,860. The lowest 10 percent earned $21,120. Some sellers avoid paying realtors by acting as their own agent. They list their homes as “for sale by owner,” and handle all marketing, inquiries and open house events. The strategy works for some sellers, especially in a strong economy when there is great demand for housing and homes are easy to sell. Other owners pay a flat fee of 1 or 2 percent to companies offering basic help with marketing and advertising.